This series was released at Origins ’78, each module intended for “tournament play.” The adventure was run for players at the convention and then it was released for sale. Intended for characters levels 8-12, these modules were no walk in the park. This series was released at GenCon XI, again for “tournament play,” which again means most parties died. Players needed characters between levels 9-14 to endure this difficult road. These modules introduce the drow to the D&D universe. That’s right! The infamous TPKing slaughterhouse was released in AD&D’s first year of existence. Gygax had actually been using an unpublished version of it for a few years to test players’ skill and acumen. Many self-professed heroes perished in the halls of that tomb. It was a bloodbath. 1979 saw less modules coming from the pen of Gygax. In the Introduction to the AD&D Players Handbook (also released in 1979), Gygax states that the Players Handbook and Dungeon Masters Guide were compositions that caused “no small amount of trepidation” (pg. 5). It is my assumption that his time was too consumed with these two works to be able to write many modules. As a result, we only got one new AD&D adventure from the pen of Gygax in this year. But it’s a classic! 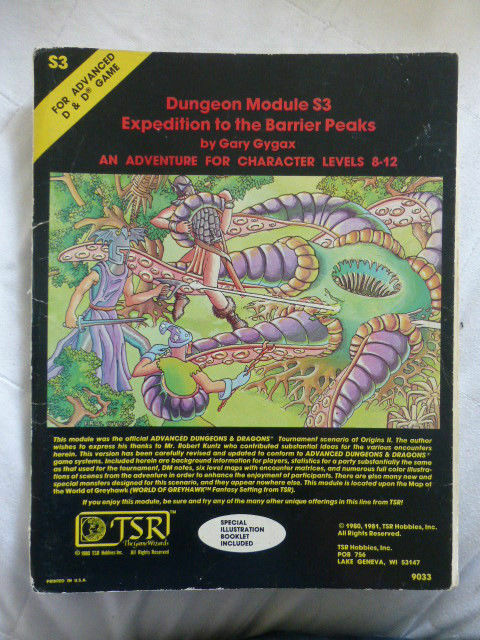 I’ve already written briefly about this classic module. A very sandboxy village + dungeon setup that force the DM to come up with a storyline. As it happens, it’s Gygax’s only introductory AD&D module. I’ll leave it at that, since you’ll be hearing more about this one at length later on. I’m currently running a group through it. 1980 continued the low output from Gygax with only one AD&D module. The reason for the low production, though, was that he was in Los Angeles working on the D&D cartoon. This began as a D&D tournament campaign in the mid-seventies that went through several developments over the years. In the end, it’s Gygax’s first introduction of science fiction into AD&D. Yes, that’s right, there’s a ray gun on the cover. Enjoy fighting that thing off with a sword! Gygax’s own words confirm that WG4 was intended to be a fourth module in a series of T1 (1979), T2-4 (1985), S4, and WG4. These four modules, then, would make up the World of Greyhawk series. Unfortunately, T2-4 got caught up in production delays and it never came to be presented as such. Also, there are plot lines that were never really connected, though some resources can help with that issue if you wanted to play these campaigns in such an interconnected fashion. Each of these modules explores a different demi-plane. The first explores settings from Lewis Carroll’s first Alice’s Wonderland book, while the second explores Carroll’s second book in that world. Unfortunately, Gygax was never able to release the module that explained Castle Greyhawk in-depth. So we only get these demi-planes branching off of it. It was six years in the coming, but finally T1: The Village of Hommlet got its long-awaited sequel in T2-4. How did it finally come about? Gygax gave a couple hundred pages of notes to Frank Mentzer to distill. So you do get original Gygax work, just heavily organized and distilled by an editor. Unfortunately, many found T2-4 to be too different from what they expected as a followup to T1. And as Gygax’s final AD&D module (not to mention his final TSR module at all), we get another demi-plane extending from Castle Greyhawk. Leaving Alice’s Wonderland behind, this module explores an island eerily reminiscent of King Kong’s home. It’s functionally an outdoor dungeon crawl, which had not been done previously. And it’s designed for character levels 18+ to boot. Why is this not in the Extension-series with EX1 and EX2? Your guess is as good as mine. Released only months after T1 – The Village of Hommlet, this D&D Basic module followed a similar setup with a village and a dungeon. However, it was neither as sandboxy, nor as village-focused as Hommlet. I’ve been told this can be easily converted over to AD&D. 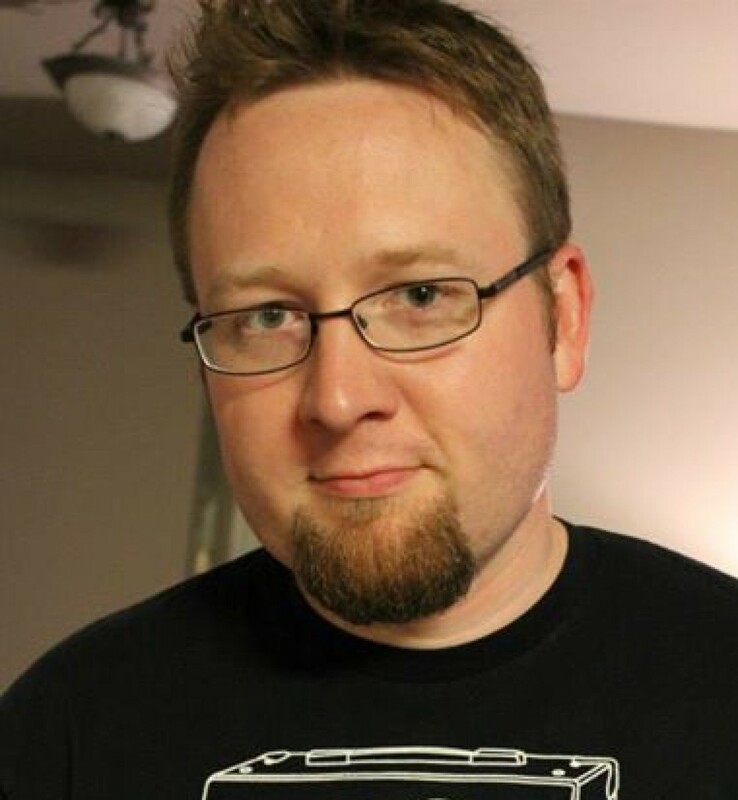 The conclusion to the GDQ series was actually not written by Gygax, but by David Sutherland. The ideas were originally culled from Gygax, but this was a Gygax-less composition. In the end, he got a credit for the original ideas. This is the grisly megadungeon to beat all megadungeons. It was actually developed by Rob Kuntz during the early 1970s with Gygax as a player. When Gygax was trying to develop the World of Greyhawk, he brought Kuntz and others in to help with the process. Gygax’s only contributions related to his PCs, now being used as NPCs.